The dates and sites for the nine Little League World Series tournaments in 2013, have been approved by the Little League International Board of Directors, it was announced by Stephen D. Keener, President and Chief Executive Officer of Little League Baseball and Softball. With the exception of the Big League Softball World Series (site to be determined) the locations for the other seven existing championship tournaments remained the same for the 12th consecutive year. The newly-created Little League Intermediate 50/70 Baseball Division World Series will play its inaugural tournament in Livermore, Calif., July 30-to-Aug. 5, at Max Baer Park, home of Granada Little League. The Big League Baseball World Series will kick off the month of championship tournaments to determine the top teams in the world in each division. Easley, S.C., will serve as the home for the Big League tournament for the 13th year as the oldest age division in baseball conducts its 46th championship, July 24-to-31. The four softball World Series tournaments open the month of August, with the Big League tournament July 31-to- Aug. 7. The Senior League (Lower Sussex, Del.) plays its championship Aug. 4-10, and is followed by the Little League (Portland, Ore.) division on Aug. 8-14, and the Junior League (Kirkland, Wash.) will play its tournament Aug. 11-17. Junior League (Taylor, Mich.) and Senior League (Bangor, Maine) Baseball tournaments will be contested on Aug. 11-17. The Little League Baseball World Series begins its 11-day event on Thursday, Aug. 15 in South Williamsport, Pa., with the championship game scheduled to be played on Sunday, Aug. 25. The annual showcase of the top 11- and 12-year-old teams in the world will play the U.S. and International championship games on Saturday, Aug. 24. Japan’s Kitasuna Little League team won the 2012 title with a 12-2 victory over Southeastern Region and United States champion Goodlettsville (Tenn.) Baseball Little League. The Little League International Tournament is open to any chartered league in the United States and more than 80 other countries. More than 7,000 teams, approximately 6,500 of those teams in the U.S., begin the tournaments in the Little League Baseball division. About 6,500 are eliminated in the first three weeks of play. About 45,000 games are played in eight divisions leading up to the various World Series tournaments. More than 16,000 of those games are played in the Little League division, the equivalent of more than six Major League Baseball seasons. The overall participation statistics will increase with the addition of the Little League Intermediate 50/70 Baseball Division World Series. 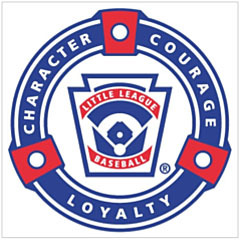 Little League Baseball and Softball is the world’s largest organized youth sports program, with more than 2.4 million players and one million adult volunteers in every U.S. state and scores of other countries.